(Recently) a contributor with the byline Waqas KH published an article about Felix Sater, an associate of President Trump, that he had been paid to post. 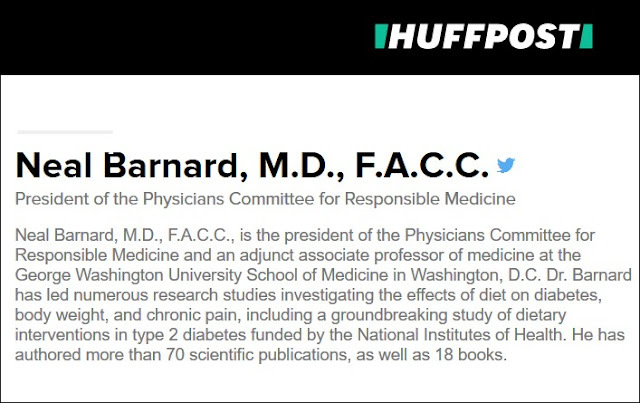 The site has since deleted the article. 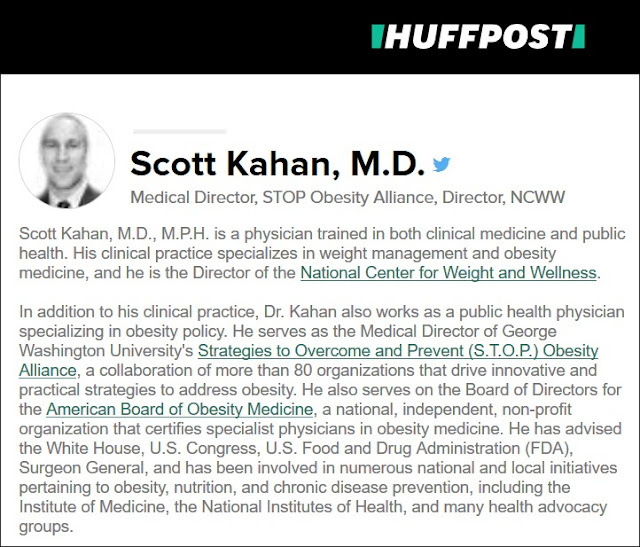 Click the link about Sater and you'll learn it credits my Belfast buddy Dean Sterling Jones whose whizbang reporting appears to have contributed to the HuffPost's decision to axe unpaid contributors, some of whom include some of the world's most famous celebrity doctors as well as some less well-known physicians. 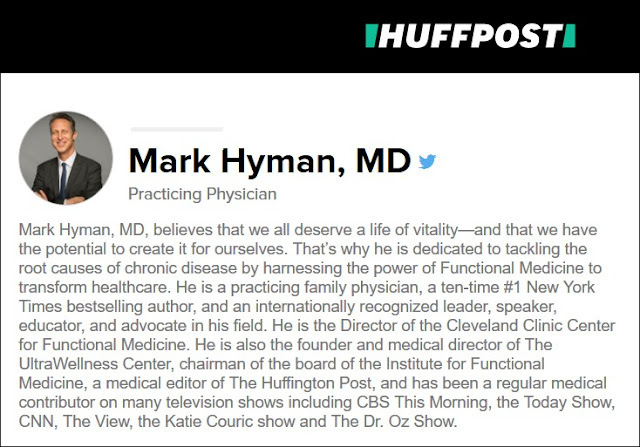 Yesterday I Google-searched MD and HuffingtonPost.com and turned up a baker's dozen of physician columnists. 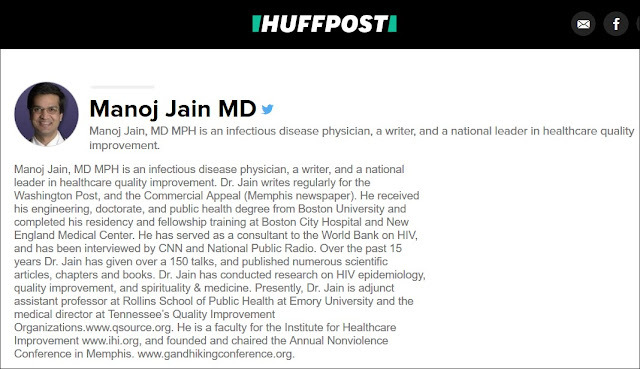 I then sent the list to HuffPost media representative Caitlin O'Neill and asked which if any of the doctors' columns have been discontinued? 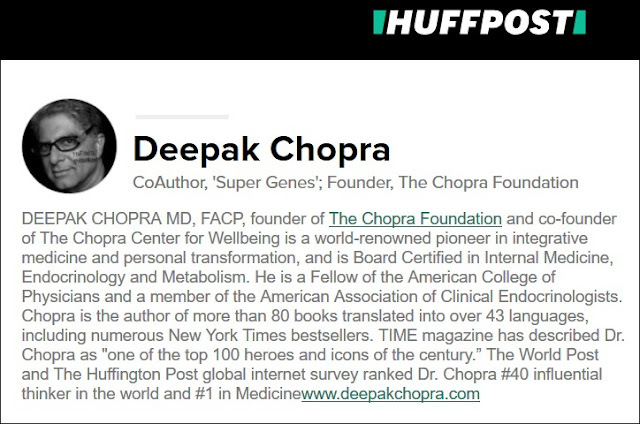 I can confirm that all blogs on the HuffPost contributors platform have been shut down, as of yesterday (1/18). In alphabetical order, below are the thirteen names I sent her. 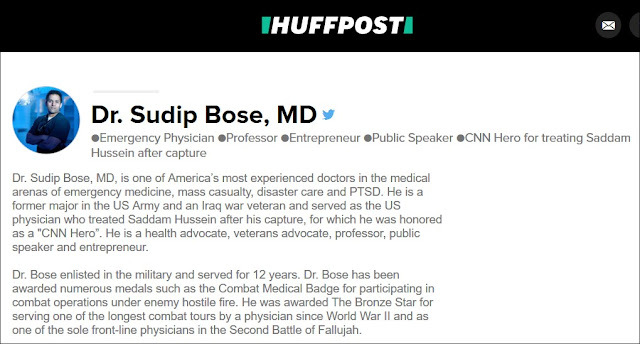 Click the images to go to their HuffPost page listing their published articles. 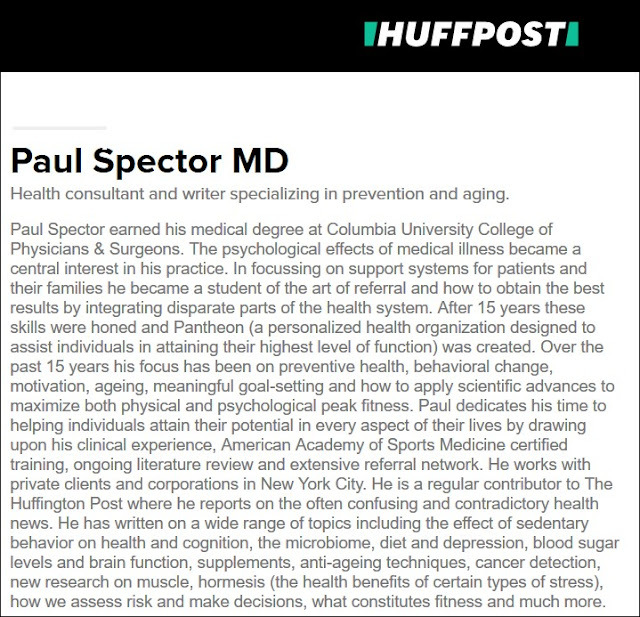 If there are other HuffPost physician columnists I missed, feel free to e-mail me the details. 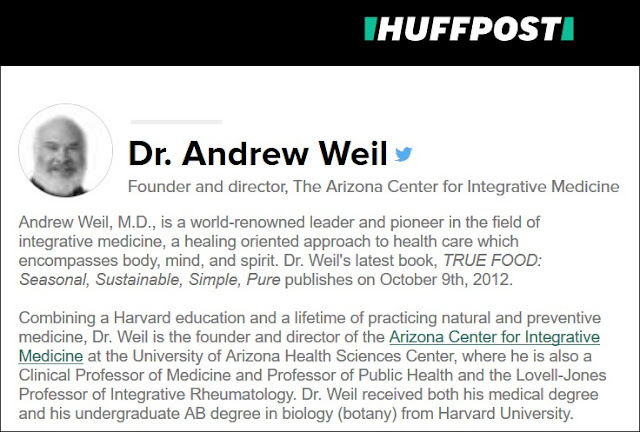 I'll verify the information with Ms. O'Neill and append to this item. 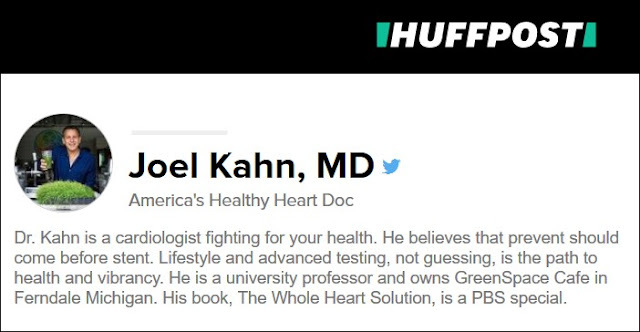 Finally, I've got a follow up inquiry in to Ms. O'Neill asking if Dean Ornish MD (see below) is still the publication's medical editor. My original story is below the red hash marks. 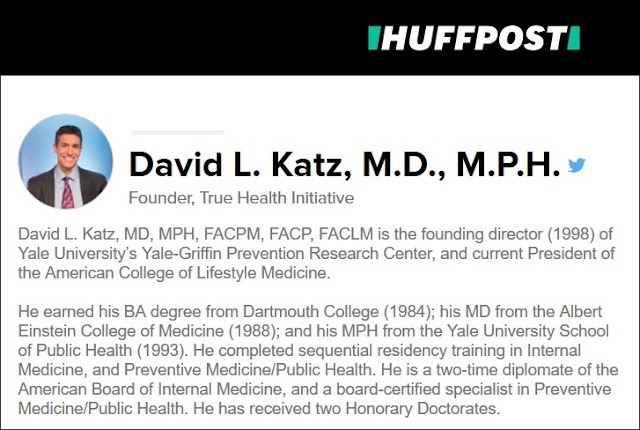 iMediaEthics has contacted both the Standard and Mail to ask how they learned about the story, how they attempted to fact check and if they are or have published corrections. Click here for inquiries I sent to both papers on January 5. 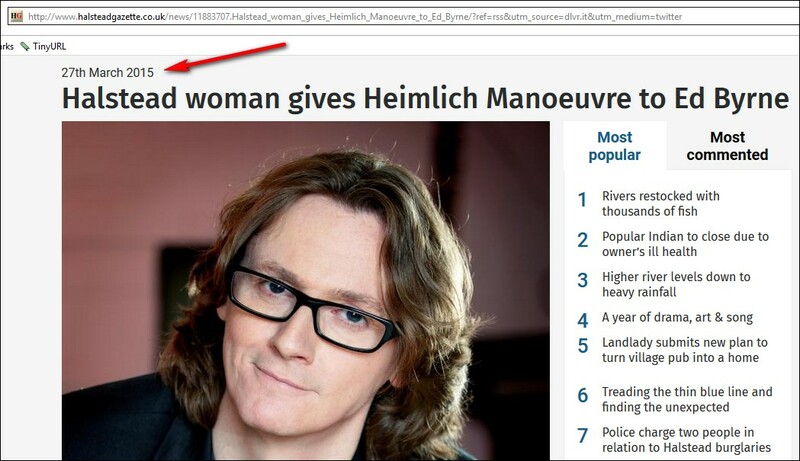 Ed Byrne is a well-known Irish comedian. And He's pretty funny. In fact, he’s so funny you could die laughing, unless he saves you. 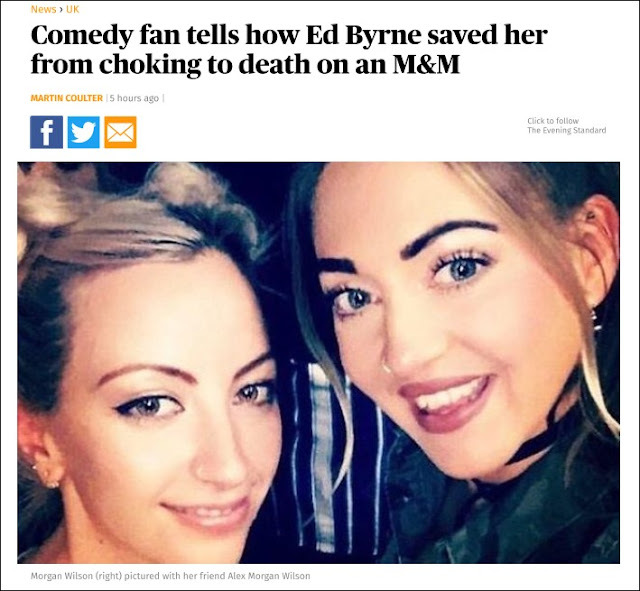 And if you’re a reader of the London Evening Standard and the Daily Mail, you could almost believe Mr. Byrne had done just that, by saving an audience member from choking at one of his shows. 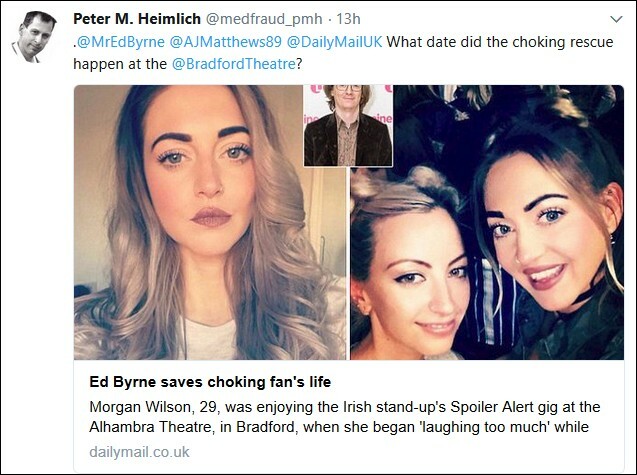 But when one investigative blogger heard the choking story, something about it stuck in his craw. So he decided to get to the bottom of it. 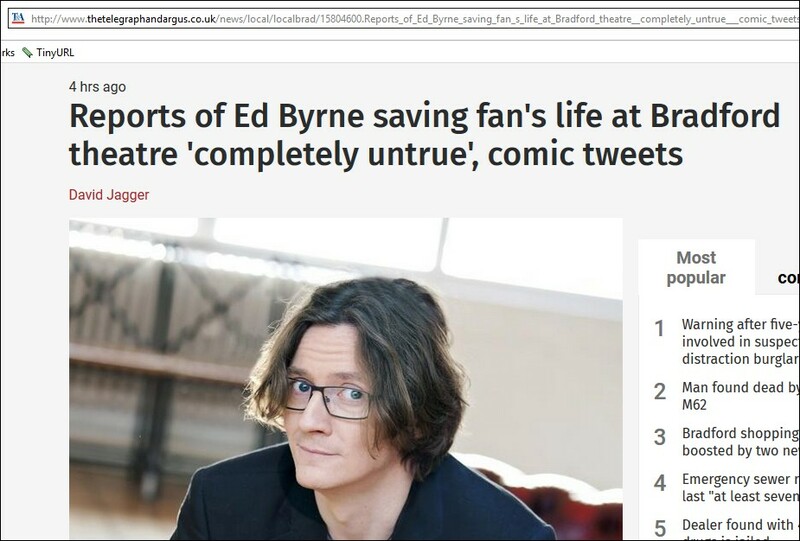 ...PETER: (Ed Byrne) and I have exchanged a couple of tweets. Earlier today, I tweeted that I was confident that he should be able to get five minutes of stand-up out of this. Two days after I asked London Evening Standard editor George Osborne to address the matter, the paper published a thorough re-write at the original URL by reporter Martin Coulter, who admitted he got punk'd by a source ("Morgan Wilson"). Two leading UK newspapers have disappeared a bogus story without informing readers that their reporters got hosed by a source. I'll follow up with both papers and report the results. Click here for a re-publication of Mr. Matthews' Mail Online story. Click here for a cached version of Mr. Coulter's Evening Standard story. As it happens, this isn't Byrne's first "Heimlich headline." 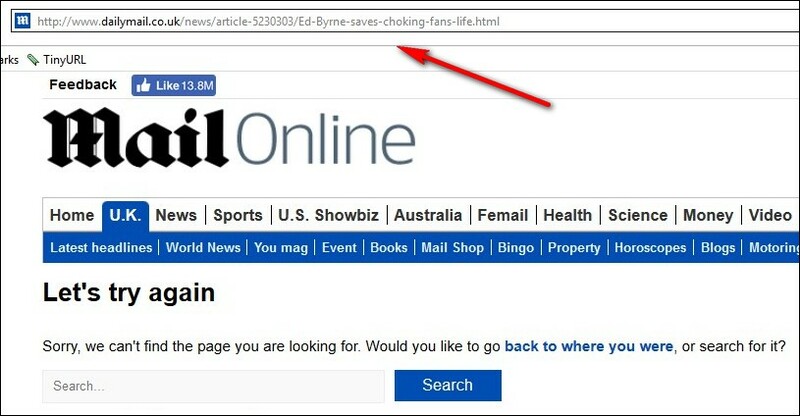 * In my original post, I mistakenly called the publication the Daily Mail rather than the Mail Online. 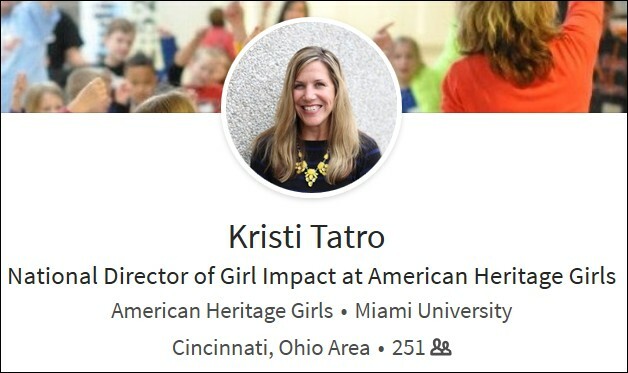 Regret the error!